Do you have a problem with asbestos? Are you considering demolishing or remodelling a property built before the mid-1980s? Perhaps you just need building services you can rely on? No matter the situation, Stolk Building is here to lend a helping hand. We are a locally owned and operated family business with a commitment to excellent craftsmanship and friendly customer service. Our team of fully trained, highly skilled professionals will work hard to get all jobs done to your satisfaction, on time and on budget. 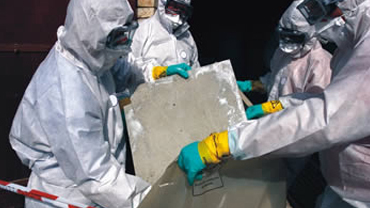 Look no further for asbestos removal Wollongong. Since 1992, Stolk Building & Asbestos Removal has been Illawarra and Wollongong’s trusted asbestos removal and disposal team. We offer a complete, safe and professional service, and will make sure you’re well taken care of every step of the way. From free quotes and onsite inspections through to safely disposing of asbestos at our specialist yard, we get the job done right. We cater to clients of all kinds throughout the Illawarra, including Wollongong, Dapto, Albion Park, Shellharbour, Asbestos Nowra and Woonona. 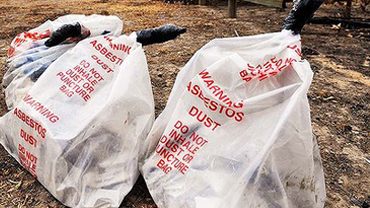 No matter whether it’s a residential, commercial or industrial property, our team of asbestos specialists will do everything we can to identify, remove and dispose of all asbestos quickly, safely and effectively. Additionally, we always make sure to clean up after ourselves, and can provide you with a clearance certificate once the job is done. 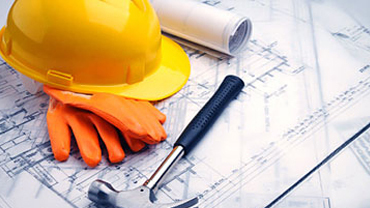 We’re also fully licensed and insured builders. We are specialists in re-roofing and Colorbond steelwork, but we can help with everything from kitchen and bathroom renovations to external cladding, extensions, renovations, and basically all types of building works. When you come to us, you can rest assured that your property is in good hands. We combine years of hands-on industry experience with the very latest techniques and technology to provide great results, every time. All of our work is designed to not only look great, but stand the test of time as well.